Made in Italy. 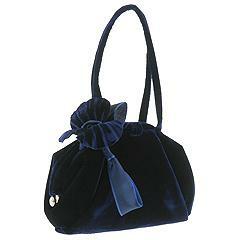 This striking handbag made of velvet is the perfect way to incorporate the velvet trend into your cold weather wardrobe. 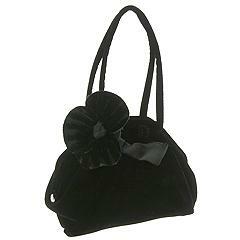 Holds a cell phone, cash and your favorite lipstick. Dimensions: 6 wide x 2 1/2 deep x 4 high. ; Dual handles. Drop: 4 length. Protective dust bag included. Top covered frame with hinges. Interior lining.